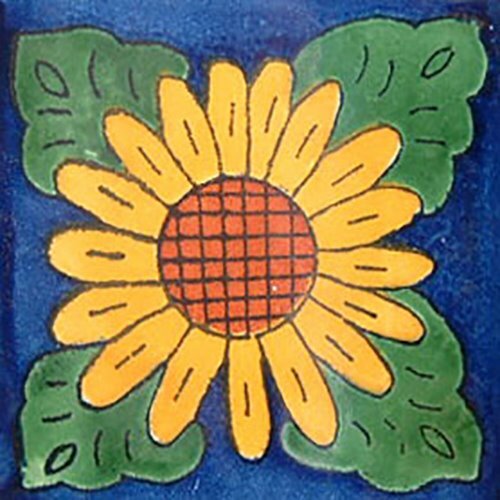 Mexican tiles in "Cobalt Sunflower" style. Old world with green, yellow and terra cotta mosaic tile design over cobalt background. Shipping from Mexico to the US and Canada is estimated for four weeks. impressive work of art, have a very friendly customer treatment and helped me a lot during the purchasing process, delivering a little late but I understand perfectly.